It all started one weekend, wine-tasting with a very special bride-to-be, followed by the next weekend with the most festive Guatemalan-Belgium Wedding. We danced our tooshes off. All the while, a very humbling (and sobering) family emergency required my attention...thankfully, everything is okay now, and my family and I have appreciated everyone of your blessings and warm thoughts (you know who you are)...THANK YOU for all of the love, light and prayers you've sent to my family. And thank the heavens for the miracle of modern medicine and our amazing bodies' capacity to heal itself in profound ways. In a few short hours, I'll be boarding a plane to Costa Rica. Perfect timing, too, as I've been craving well-needed rest, relaxation, and down-time --- AND, per wellness coach's orders, I'll be taking time for self-care. (Hi Marcia, I didn't forget to do my homework...I will certainly treat this surf trip as a wellness retreat). My wonderful fellow transformational coaching colleague, Marcia Ayacaba, and I trade hours coaching each other. It's a pretty sweet deal. My homework was to make a list of daily activities to focus on that had to do with wellness. Thank YOU, for keeping me in check, Marcia. As usual, you can count on me taking a little digital vacay (or at least minimizing my time online) while I'm gone. I might sneak in some quick Instagram pics, as inspiration strikes, and I am definitely squeezing my DSLR and handy little travel journal into my pack to capture memories and special moments --- lookin' forward to sharing my journey with you. Ahhhhhh. Travel. So good for the soul. Anyhow, I'm keeping this one pretty short, as I'm literally going to squeeze in a mere 2 hours rest before we head out to LAX Airport in the wee hours of the morning. Until then, here is a little video I'd like to share. Enjoy!! 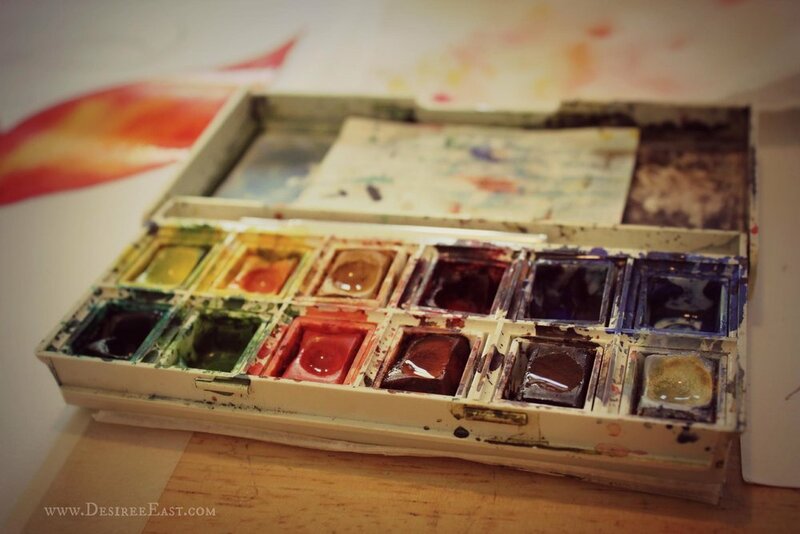 DO YOU HAVE ANY FAVORITE CREATIVE TOOLS YOU LIKE TO TAKE WITH YOU WHILE TRAVELING? ALSO, I'D LOVE TO KNOW WHAT KIND OF VACATION YOU HAVE PLANNED THIS YEAR!! HEADING ANYWHERE SPECIAL IN THE NEXT FEW MONTHS?? AND HOW DO YOU FEEL ABOUT ADDING CREATIVITY AS A FORM OF WELLNESS AND SELF-CARE TO YOUR VACATIONS? PLEASE SHARE YOUR COMMENTS BELOW. Have you always craved 'more'? The secret to using creativity as a tool for holistic wellness.